Please call 502-245-9811 to ensure availability in your size/color. Patented Speedo® Core Stabalizer & Internal Compression Panels, assist in achieving drag reducing streamlined form and improved economy. 3D, 3-Piece Pattern creates the ultimate fit with complete freedom of movement. Lightweight woven fabrics deliver compression without weight. Bonded seams provide 6% less skin friction drag vs. sewn in seams. 40% More durable water repellency as compared to LZR Racer® Elite. 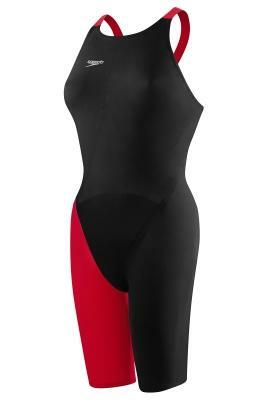 Full body compression reduces muscle oscillation. Contours the body into an efficient hydrodynamic shape. Fabric Content:// 65% Nylon/35% LYCRA® Spandex. 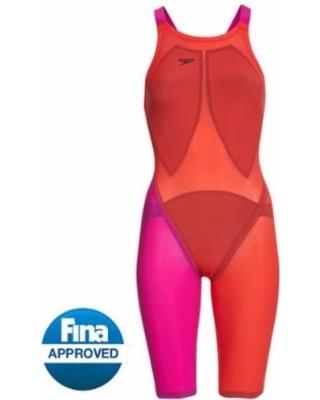 Same sizing as LZR Racer® Elite 2 Kneeskin.